This gallery is a small representation of my over twenty year career servicing schools and related organizations in the region of southeastern Virginia and northeastern North Carolina. I also include a few images related to my passion for travel photography, especially imaging animals from several nationally known zoos and aquariums. 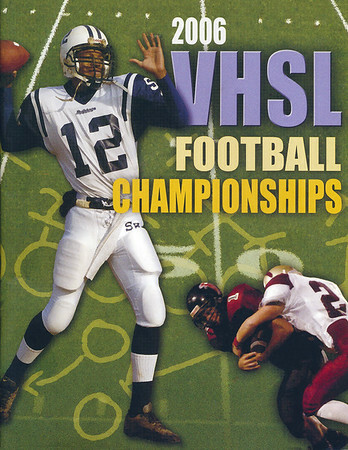 Main cover photo and Photoshop work for the 2006 Virginia High School League football championship program. This publication was sold at four different venues all over the state. 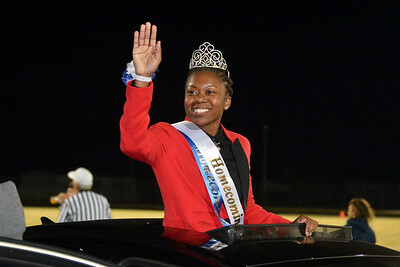 This image is of the homecoming queen from Pasquotank HS (Elizabeth City, NC). Light was provided by flash mounted on camera pointed directly at subject. 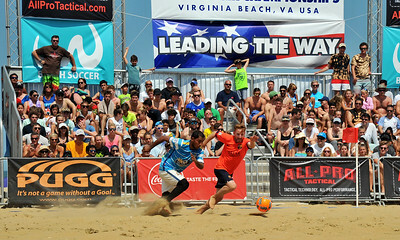 Action from the 2017 North American Sand Soccer Championships (Virginia Beach VA). I have been a staff photographer for this event since 2005. This image was photographed at the Donna Wilkins School of Dance's 2010 annual student recital. The image was photographed during the performance with available stage lighting. This is my cat Sunny. He was only seven moths old at the time of this image. I found him on my bed playing with a table top Christmas tree my wife had just decorated. 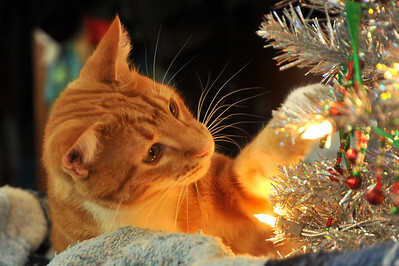 He was the star of our 2011 family Christmas card. 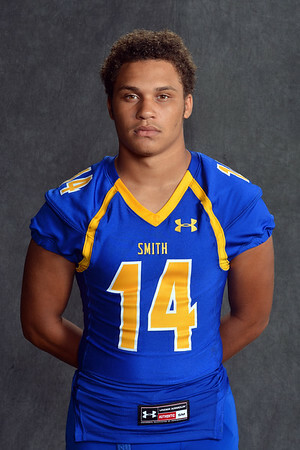 Taken for the 2014 football program for Oscar Smith HS (Chesapeake VA.). Photographed with a bounced, off-camera flash set up. 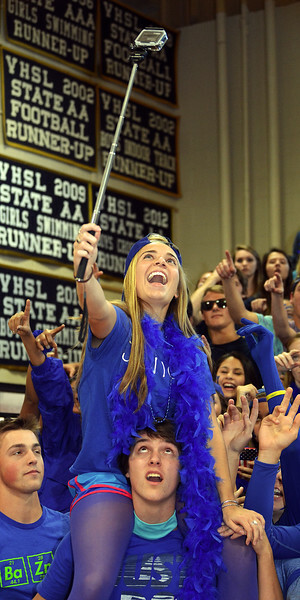 Image of two students in the Senior class student section at the 2014 homecoming pep rally at Lafayette HS (Williamsburg, VA). Light provided by on-camera mounted flash bounced off the ceiling. Group photo of the 2014-15 Hickory HS (Chesapeake, VA) varsity cheerleaders. 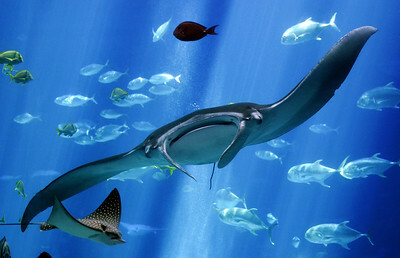 This image was photographed at the observation area of the main tank at he Georgia Aquarium (Atlanta GA). The image was photographed with available light. 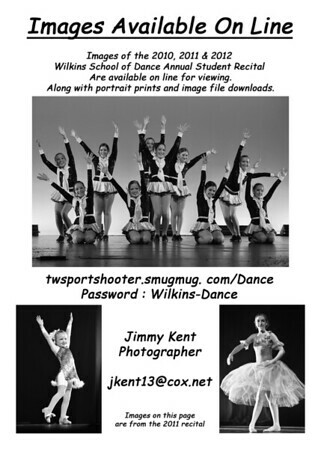 This is a composite text and some converted black and white images for a flyer I produced for sale at the Wilkins School of Dance recitals. 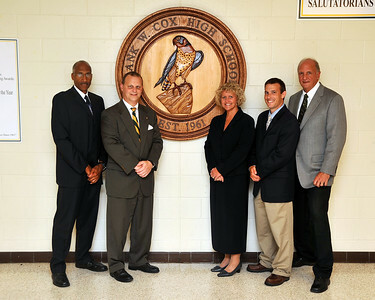 Group photograph of principal and senior staff at Cox High School (Virginia Beach, VA) ... August 2010. Image photographed with on-camera flash with bounce card. 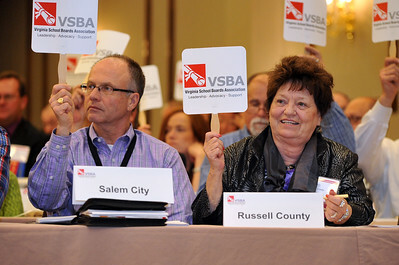 A photo of two assembly members participating in a floor vote at the 2104 Virginia School Board Association annual convention (Williamsburg, VA). 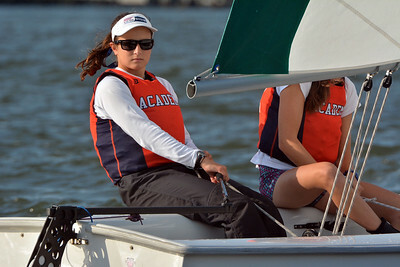 This image was taken at the Virginia Interscholastic Sailing regatta on October 11, 2014 on the Lafayette River at the Norfolk Yacht & Country Club (Norfolk VA). This image was shot in available light with a 120-300 mm f/2.8 lens and a 2X tele-convertor. 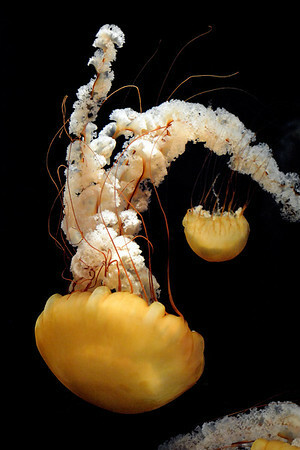 This image was photographed at the observation area of the main tank at he Tennessee Aquarium (Chattanooga, TN). This creature naturally swims upside down. The photographer was holding his camera correctly. This is a 30 second promotional video I made for my Brother-In-Laws' comic book shop in Richmond VA. All material except the shop logo was either my creation or in the public domain. 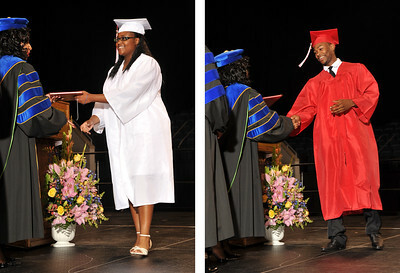 This is the combination of two separate images taken at the graduation ceremonies for Lake Taylor HS (Norfolk, VA). Lighting was supplied by an off camera flash set up located directly above and behind the photographer. This composite was created so it could be seen that the lighting was balanced adequately not to wash out any detail in the students' faces or robes. 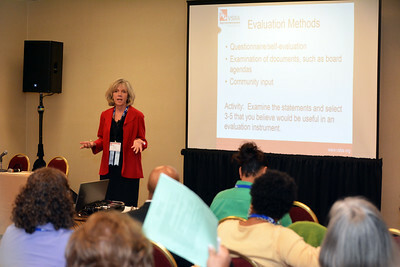 A workshop attended by members of the Virginia School Board Association at their 2014 annual convention (Williamsburg, VA). This is a composite image of a pass catch attempt for Kecoughtan HS (Hampton VA) vs Menchville HS (Newport News, VA) on September 27, 2014 at John B Todd Stadium (Newport News). The image was captured from the opposite side of the field with a 70-200 mm f/2.8 lens with a 2X tele-convertor. 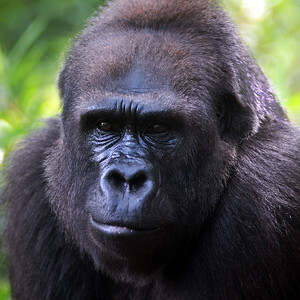 This image was photographed at the North Carolina Zoo (Asheboro NC). 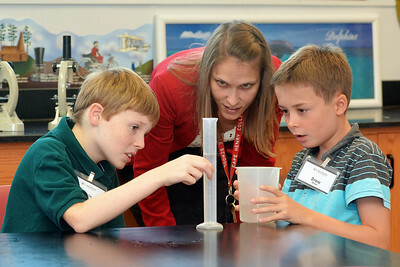 This candid image was photographed in a middle-school biology class at Cape Henry Collegiate School (Virginia Beach, Virginia). Light was provided with an on camera flash bounced off the room's ceiling. 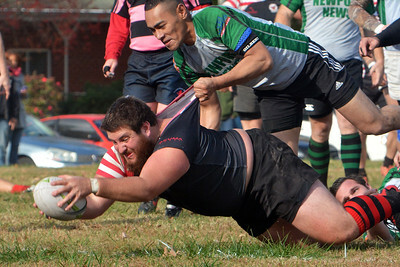 Newport News Rugby Football Club (in green) vs Virginia Beach RFC (red). Match played on November 15, 2014 . 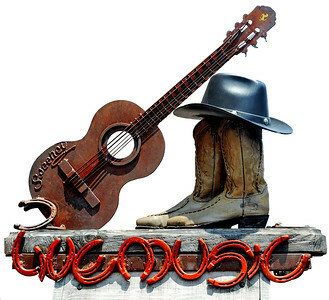 This is a metal sculpture I found on the street in the Broadway District in Nashville TN. I felt the background of the image extremely cluttered and distracting. I Photoshopped the image on a bright white background so it will be easy to pick and include in some future composite.